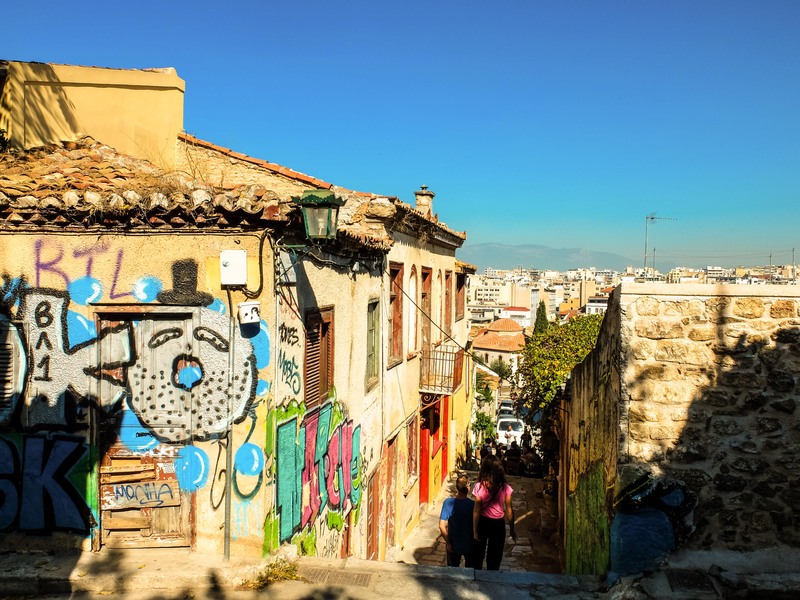 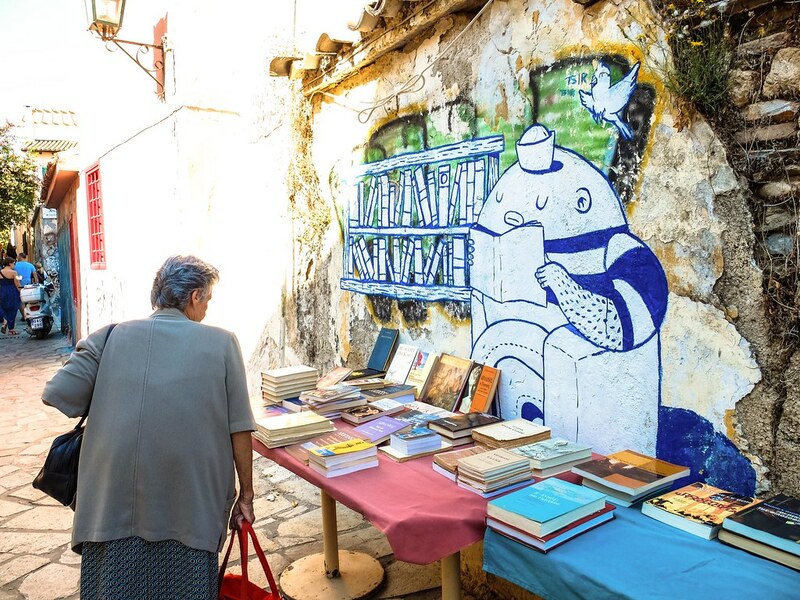 Monastiraki and Plaka, two of Athens’ well-known neighbourhood are both great places to pass the time, to mingle with fellow tourists and Athenians. 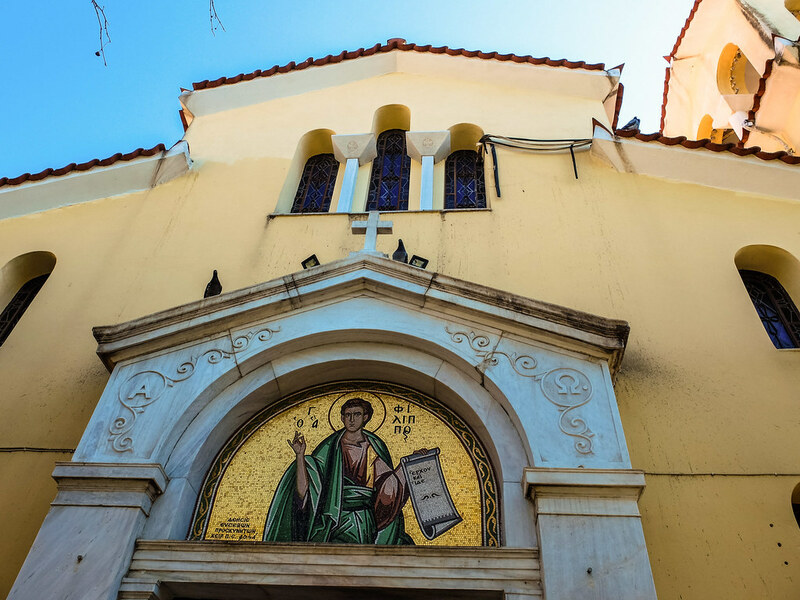 With a distinctive vibe from each other, both are easily reachable by foot from either Athens oldest metro station, Monastiraki or from Syntagma Square via the shopping district of Ermou Street. 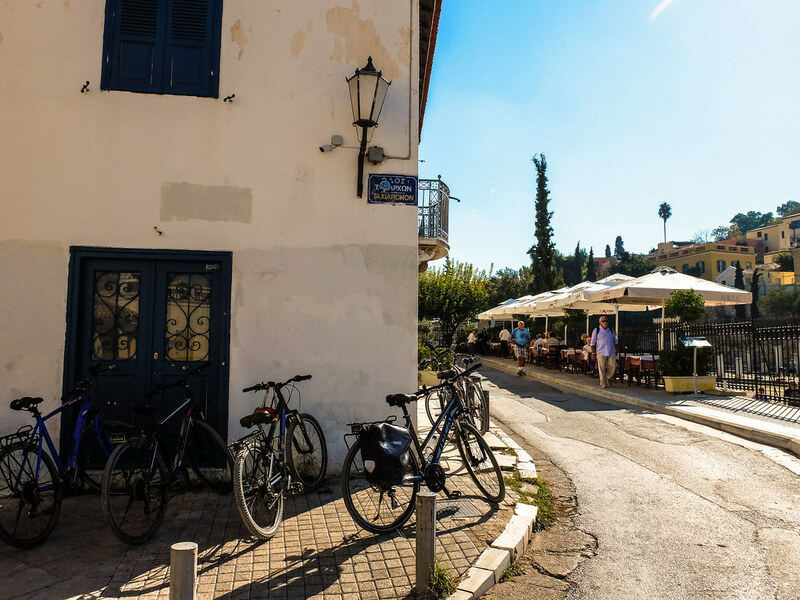 A combination of residential houses, al fresco restaurants, shops, museums and individual ancient sites on a labyrinth of cobbled stone streets is how to best describe the area of Plaka. 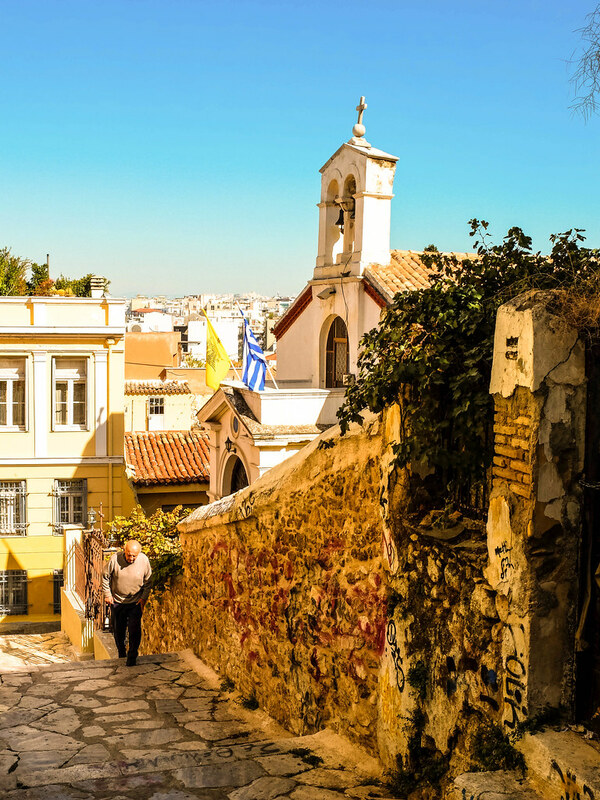 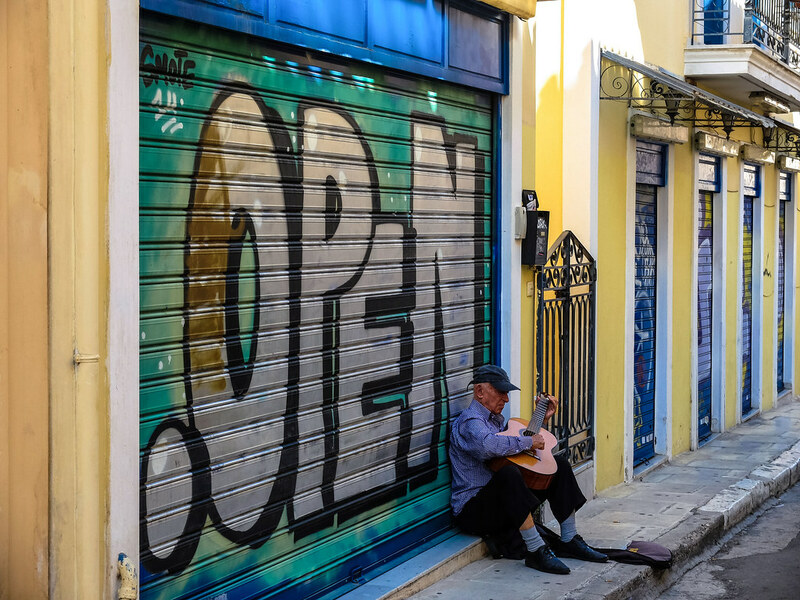 The historic district of Plaka, said to be the “Neighborhood of the Gods” due to its location right at the foot of the Acropolis has such a laid back vibe that entice visitors just to walk around and be surprised at what they can discover. 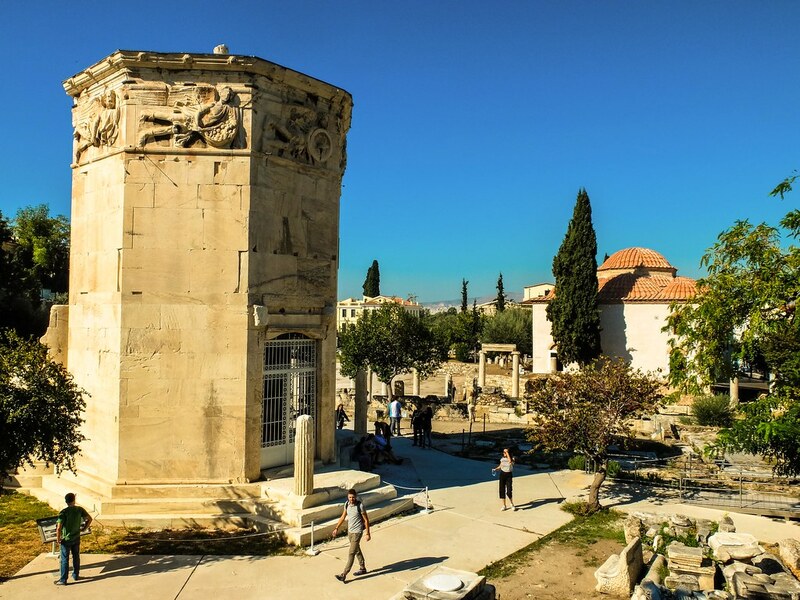 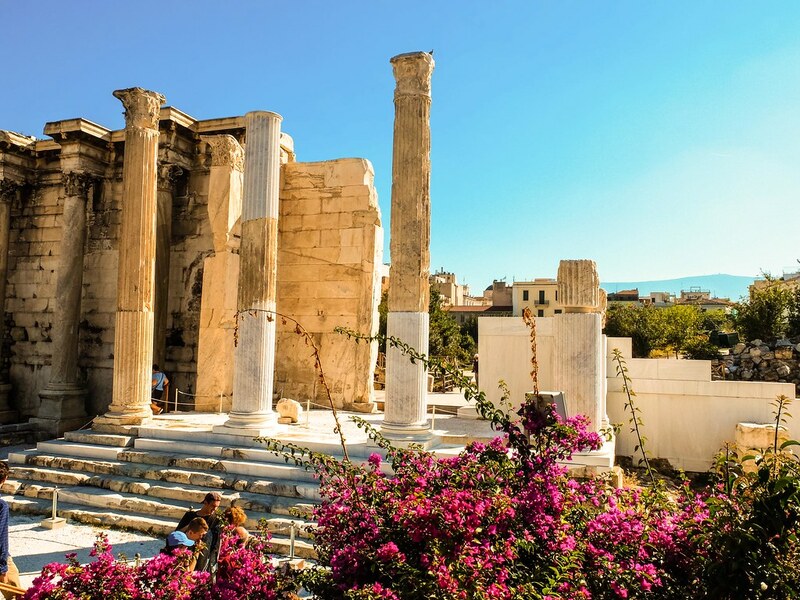 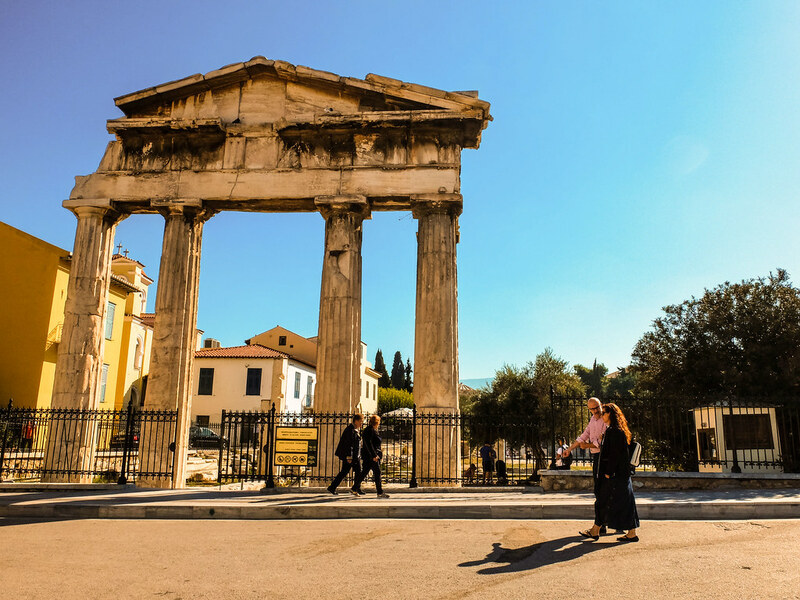 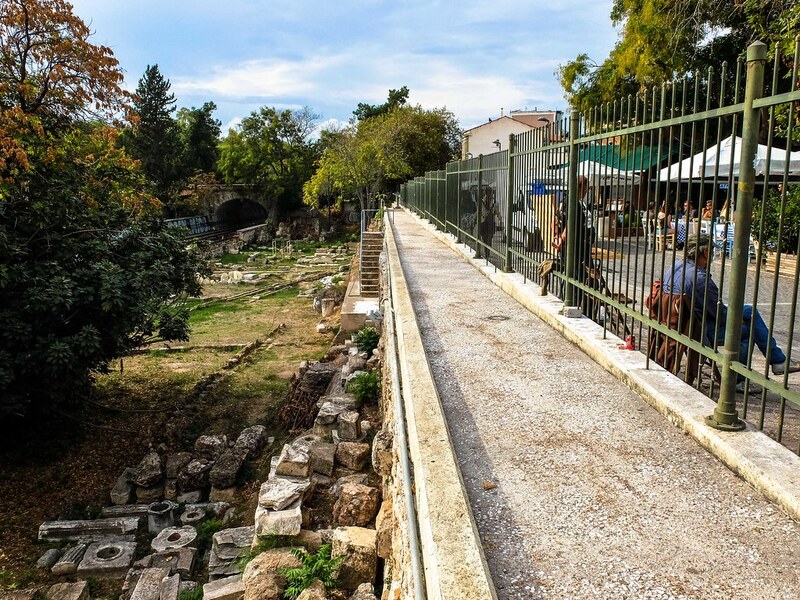 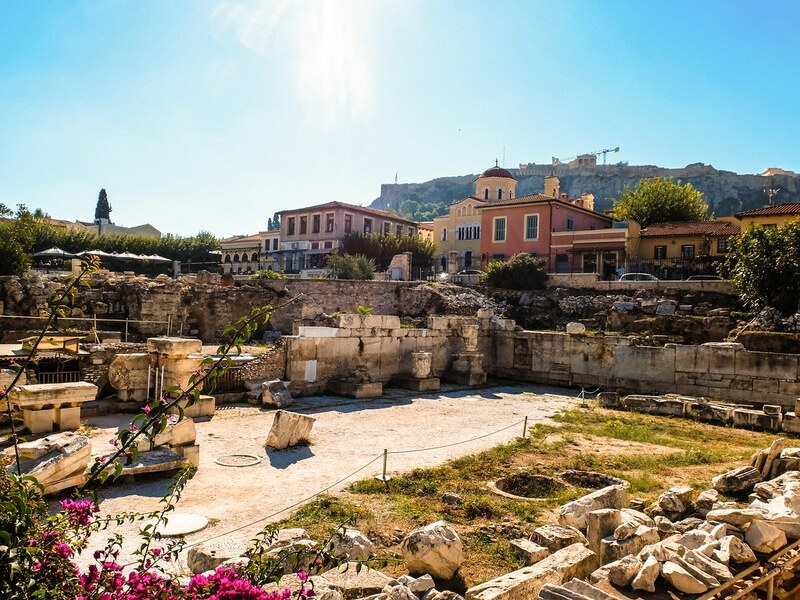 The presence of two ancient sites- Roman Forum or Roman Agora with the famous Tower of the Winds and the Ancient Agora with Hadrian’s Library is what makes Plaka the crossroads of the past and present. 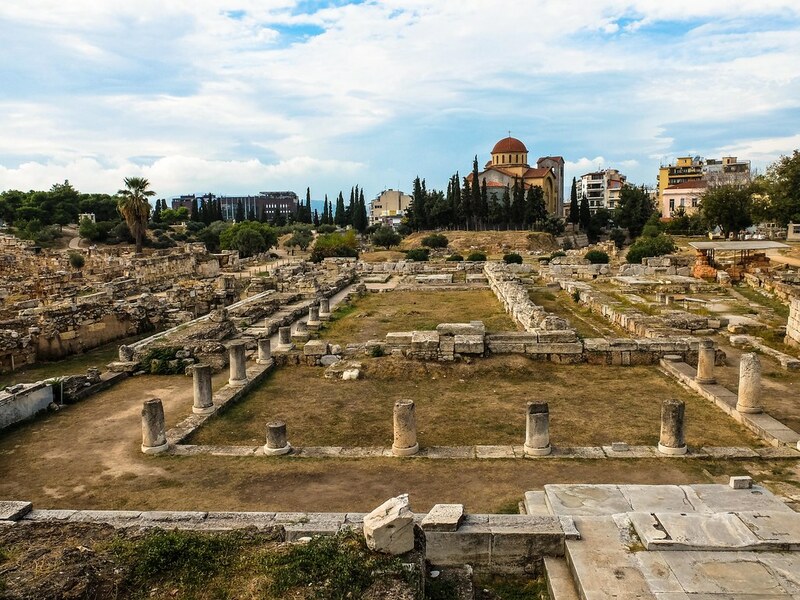 Imagine that on the very same street corner, some 5,000 years ago is where Athenians live and gather to trade, and amazingly, the area seems to serve the same purpose until now. 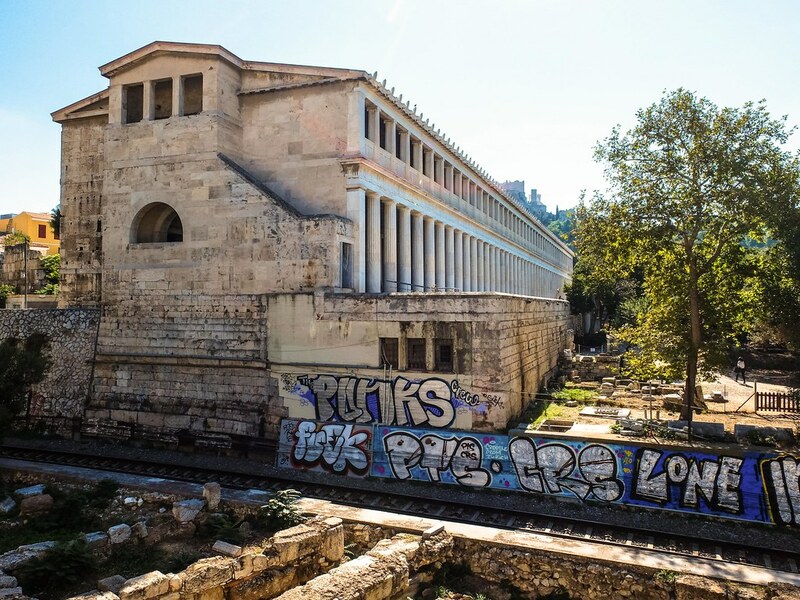 Perhaps the only difference between then and now is the obvious presence of the graffitis. 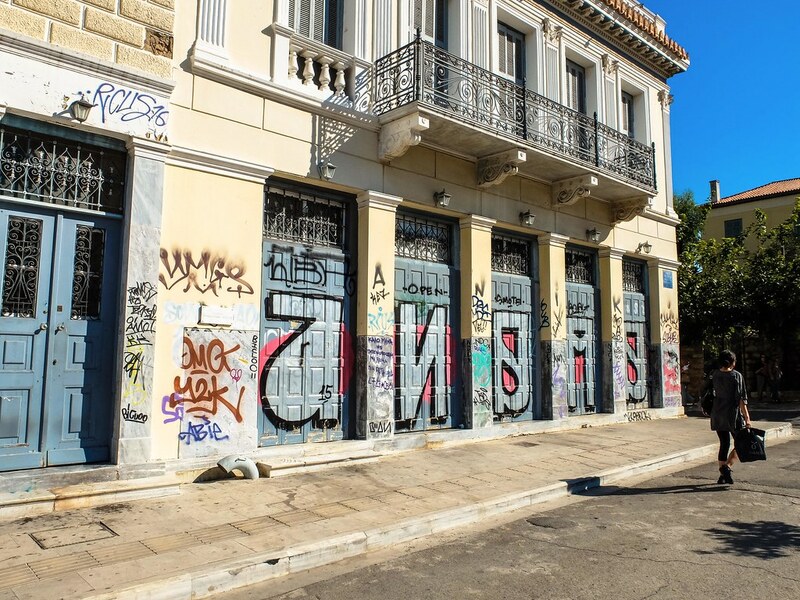 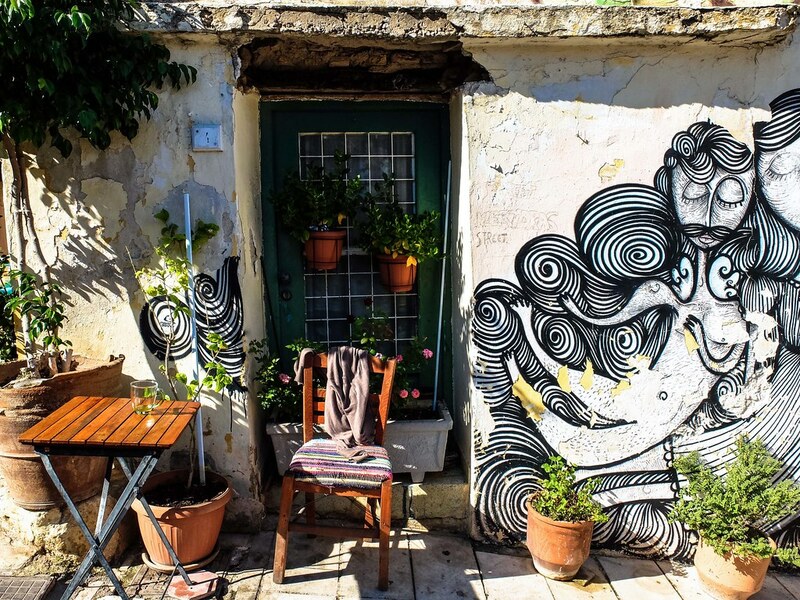 Don’t get me wrong, I am an admirer of street arts, but on this case I would prefer to see the building around Plaka with no writings on the wall. 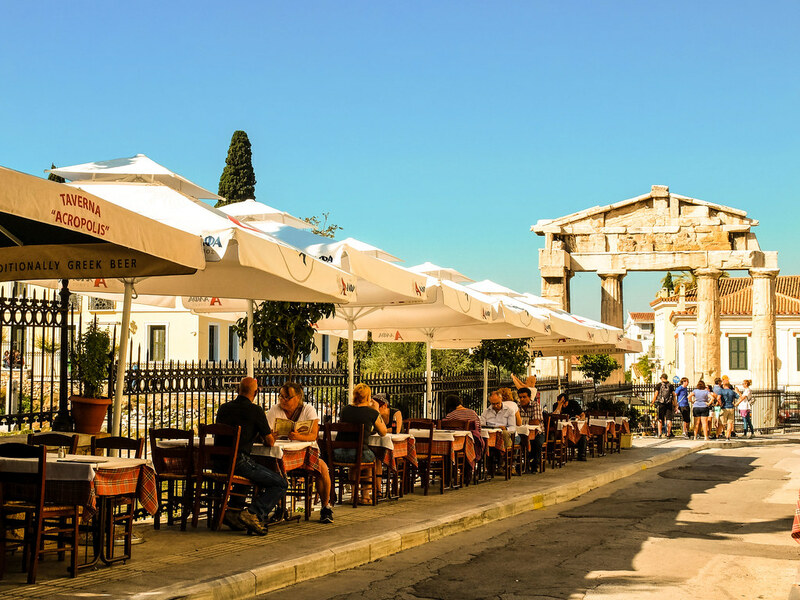 Contradictory to the calm vibe of Plaka is the bustling area of Monastiraki, with the busy Monastiraki Square as its main hub. 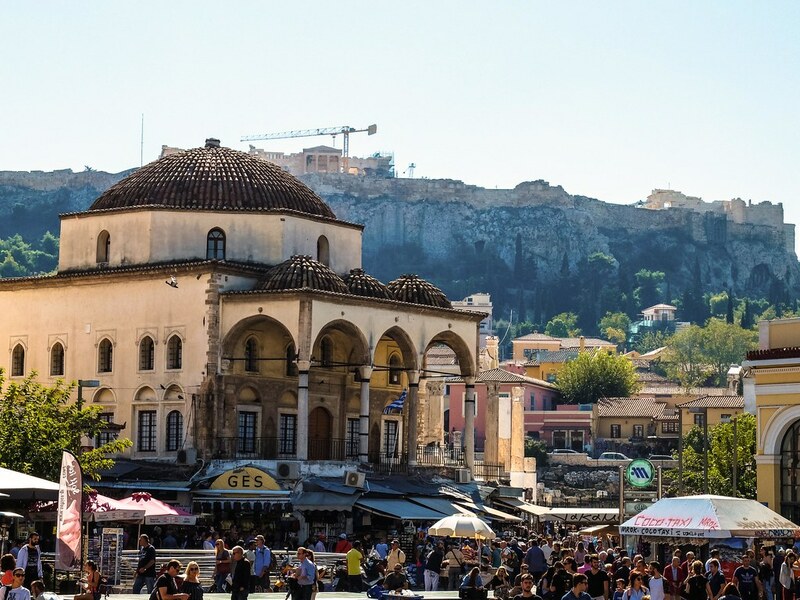 Surrounded by narrow streets lined with shops to buy all kinds of things- books, antiques, cameras, CDS’s, furniture, rubber shoes and clothes, while dominating the view of the square apart from the Acropolis from afar are Tzistaraki Mosque and Pantanassas Byzantine Church. 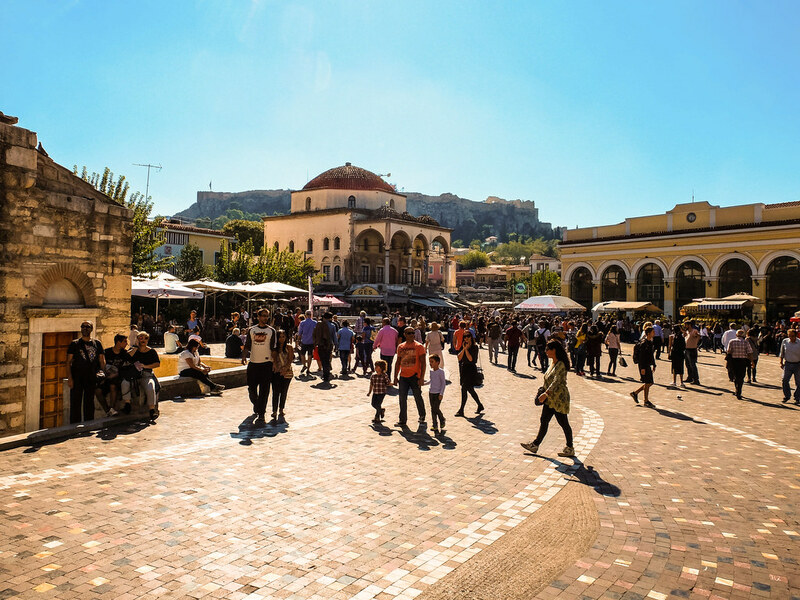 Always, the best thing to do in Monastiraki apart from walking the narrow streets of souvenir shopping is to just simply sit, have some koulouri and watch the movements of people in the square. 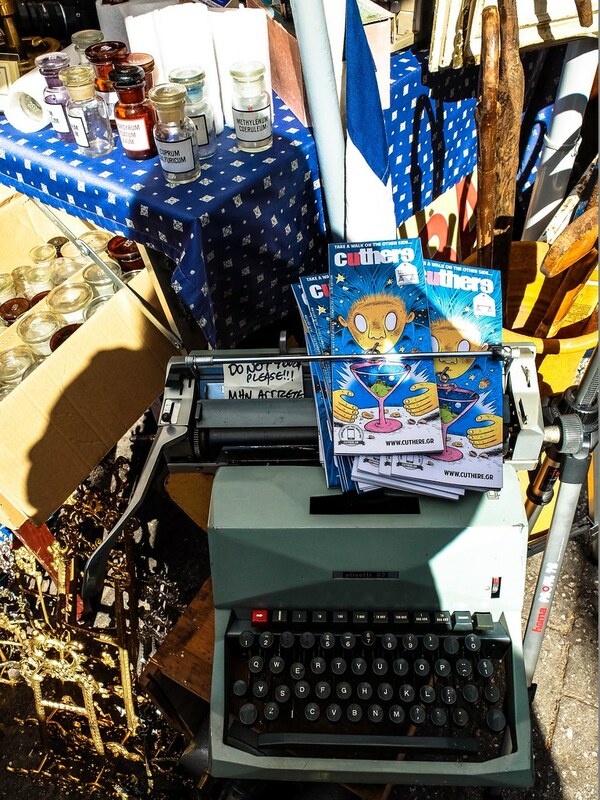 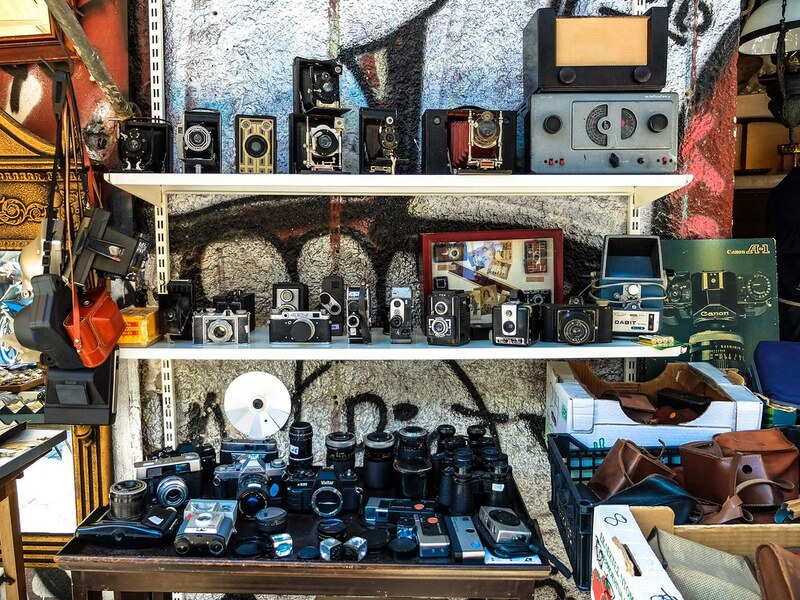 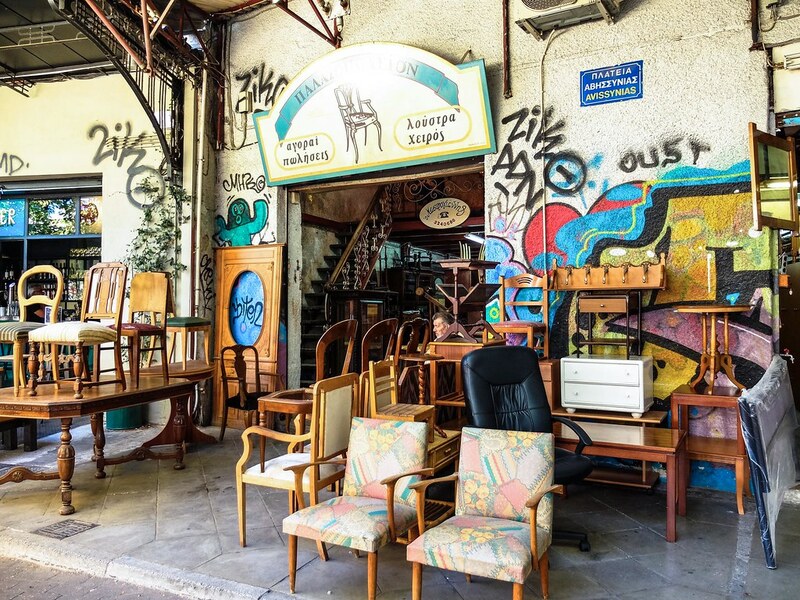 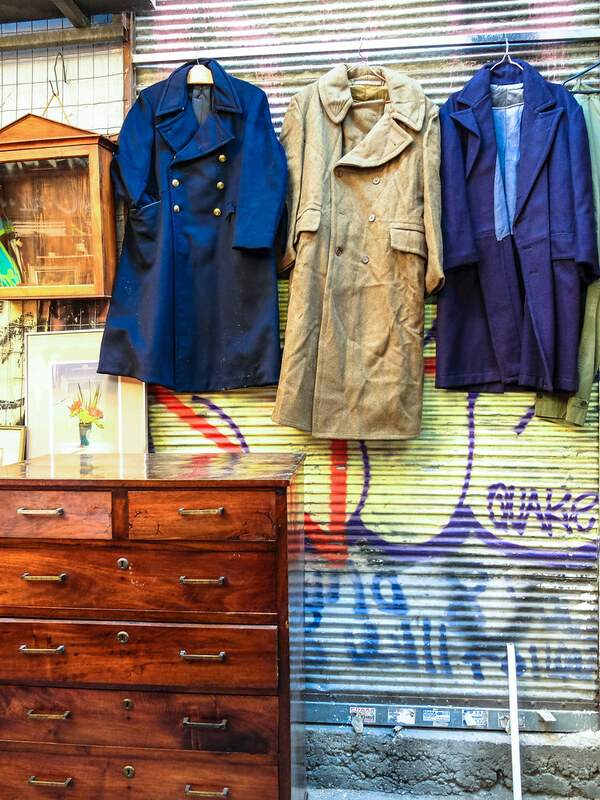 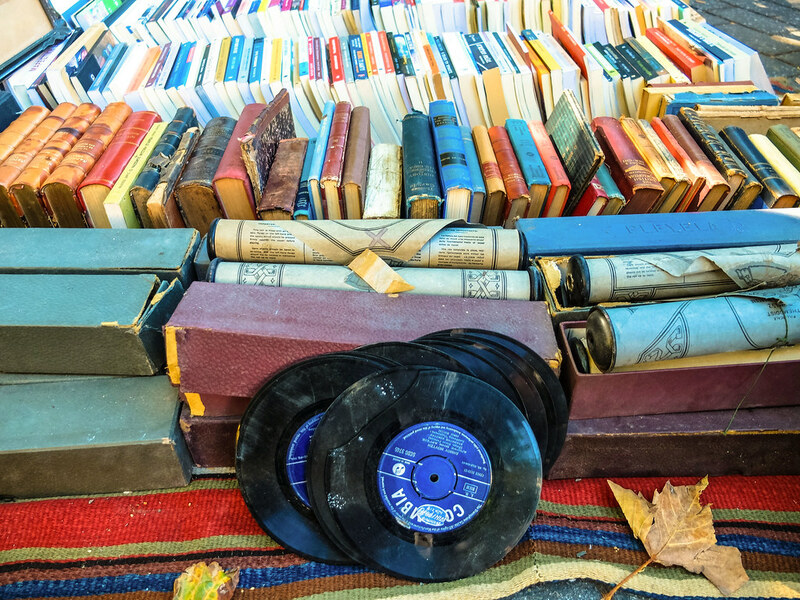 Though the highlight of any visit to Monastiraki is visiting the Flea Market at Avyssinias Square, which is open every Sunday. 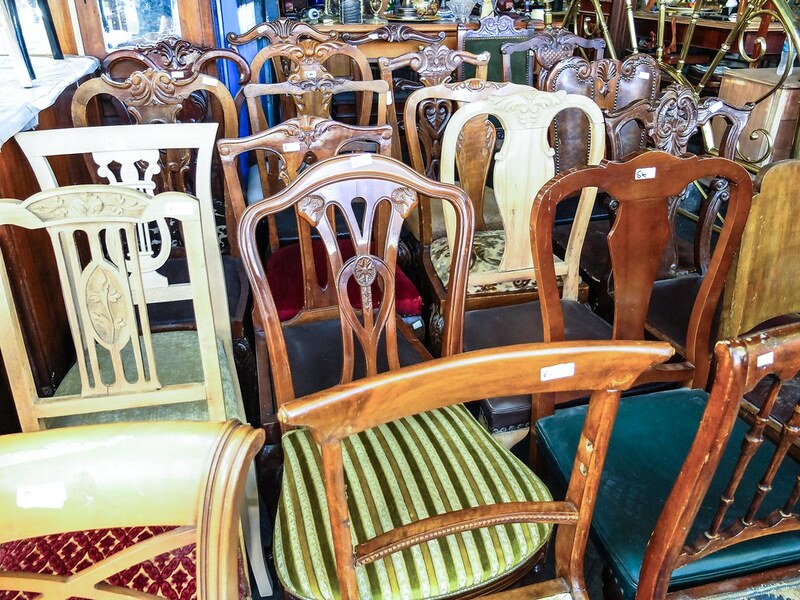 As to what one can expect from any flea market, it is a haven of everything antique and vintage things to purchase- from old typewriters, toys, camera and posters, but one thing that personally stands out for me about this flea market in particular is the number of shops selling various models of chairs. 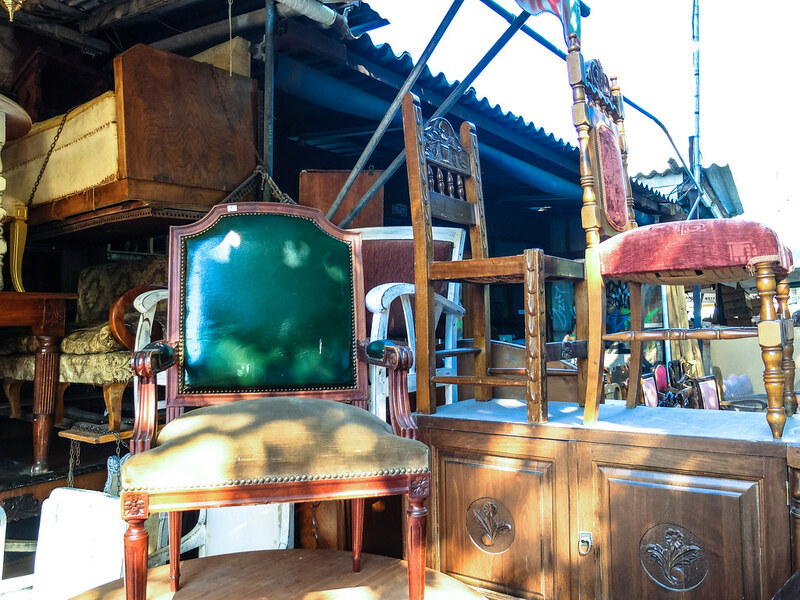 I have been to some other flea markets, but it was the first time I’ve seen so many furniture shops. 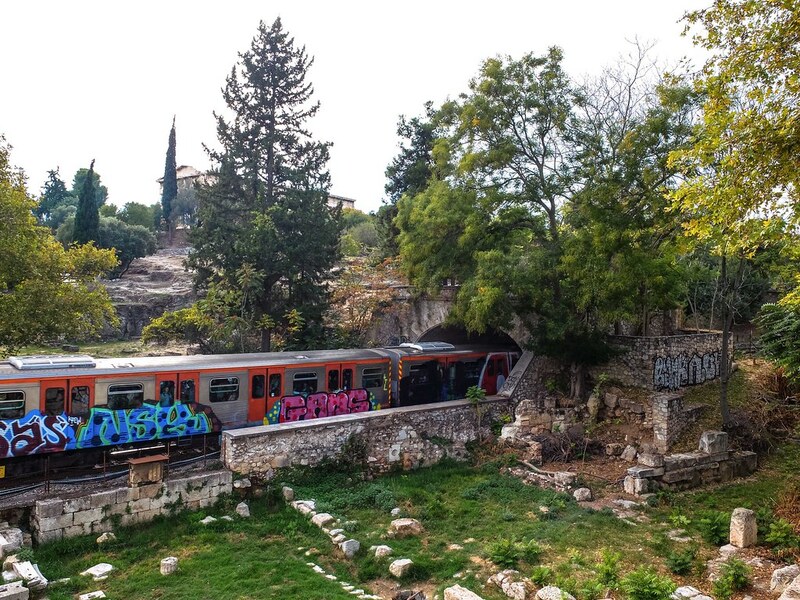 With more time to spare, I decided to walk south of Monastiraki until I reach the surrounding area near Thissio Metro Station. 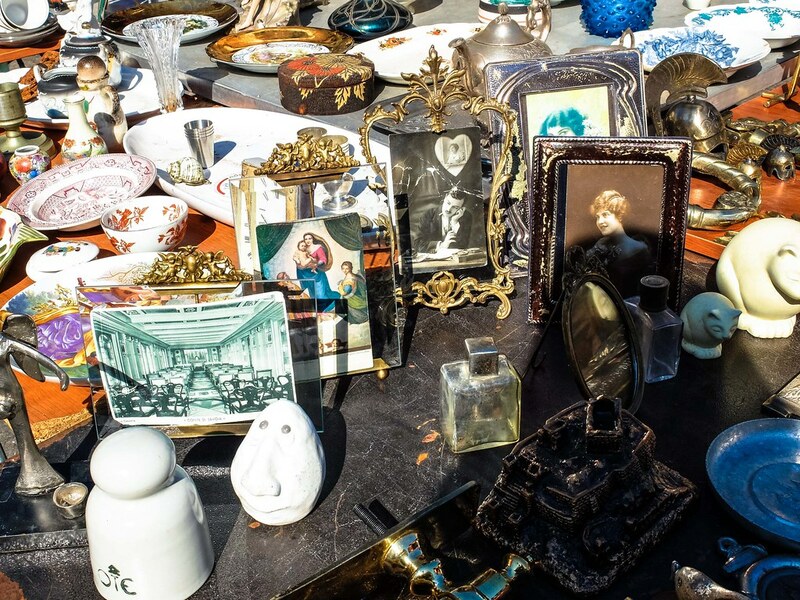 The area is like a mini extension of the flea market, but more quieter one with only a few vendors selling mostly novelty items. 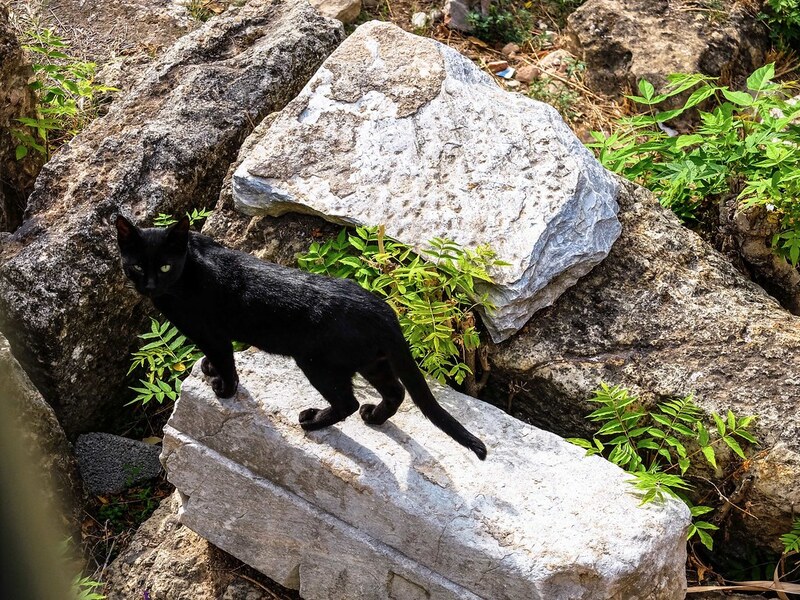 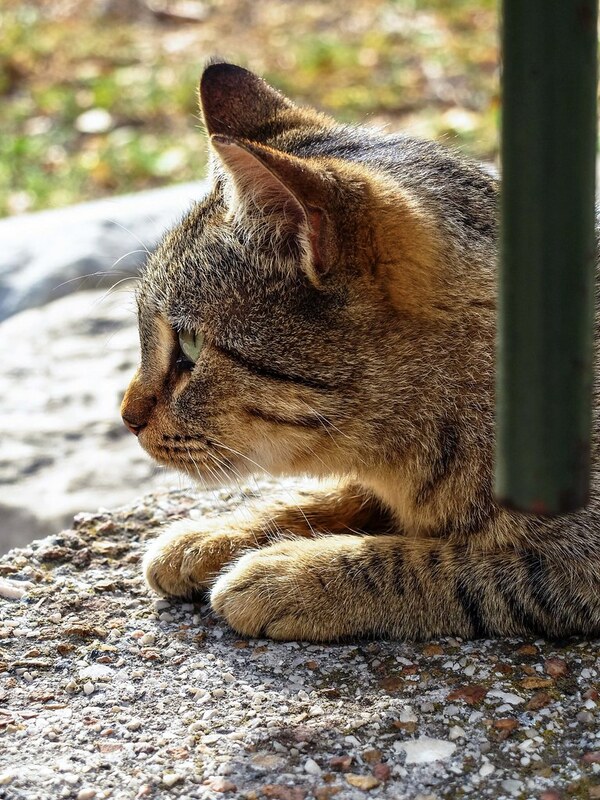 Though my main intention is to peek into another archaeological site, the Kerameikos, or the ceramics district as the name suggests and to play with more cats roaming around the streets freely. 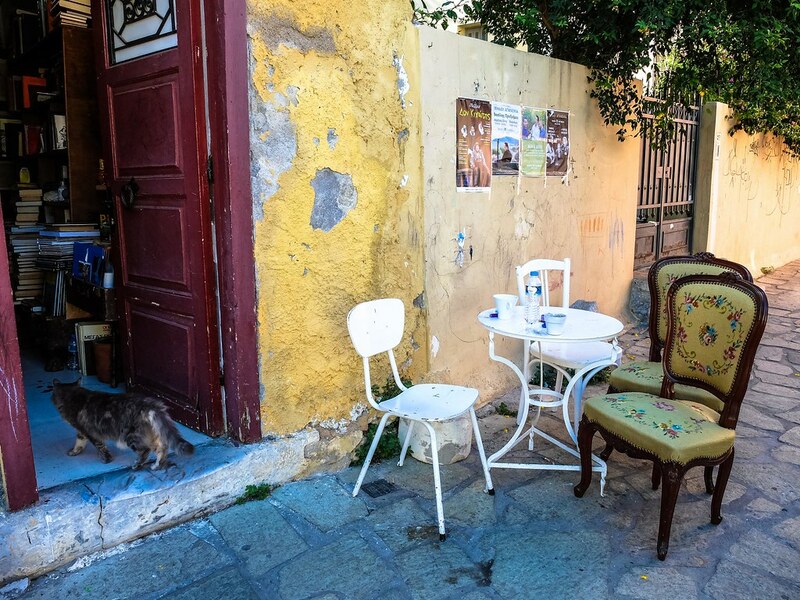 Love your post, this spot seems like not to be flooded with tourists, Especially the cat picture is my favorite.